Some of the many products available in the Historical Society’s J.C. Emons General Store and Post Office in Potter Place are also available through this Web site. Unfortunately, due to the June 21, 2018 United States Supreme Court decision in South Dakota v. Wayfair Inc., we only ship items to addresses in the state of New Hampshire. 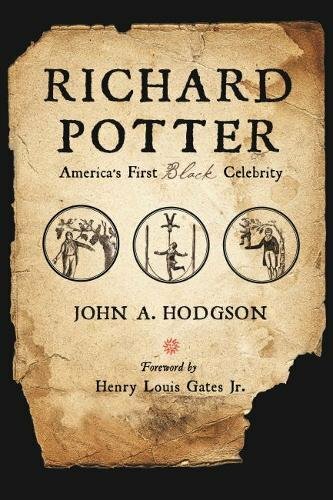 John Hodgson of the Andover Historical Society has written a new book on Richard Potter, world-renowned magician and America's first black celebrity. AHS is selling an autographed copy of this important work for $32.95, which includes shipping to a New Hampshire address. 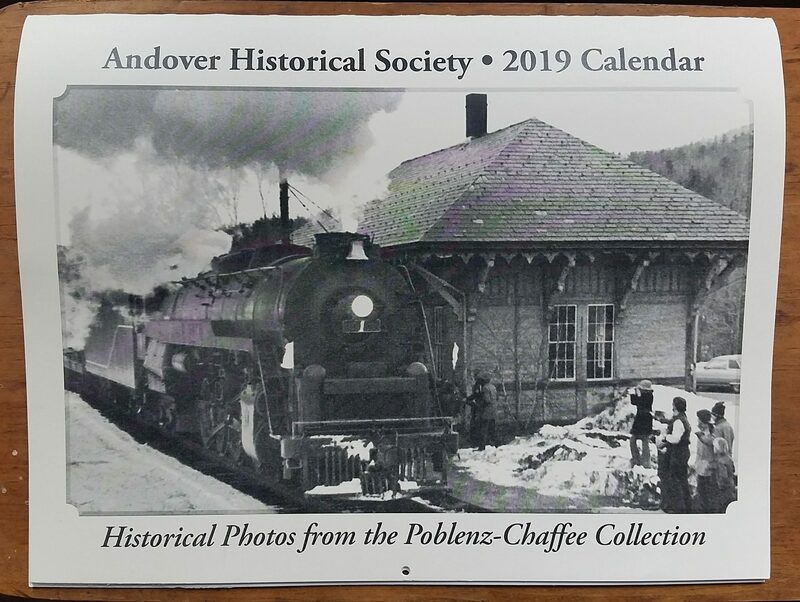 The Andover Historical Society calendar for 2019 features historical photos of Andover from the Poblenz-Chaffee collection. $12, which includes shipping to a New Hampshire address. 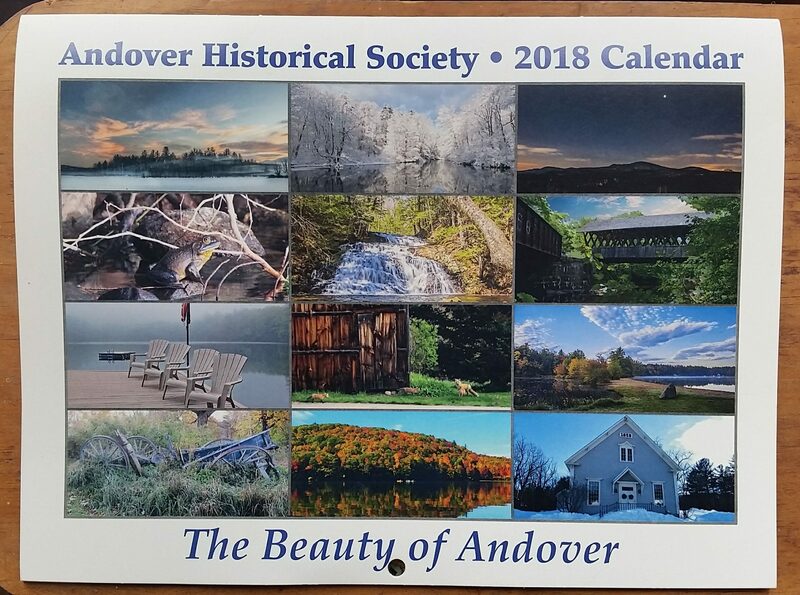 The Andover Historical Society calendar for 2018 features photos capturing the beauty of Andover through the seasons. $7, which includes shipping to a New Hampshire address. 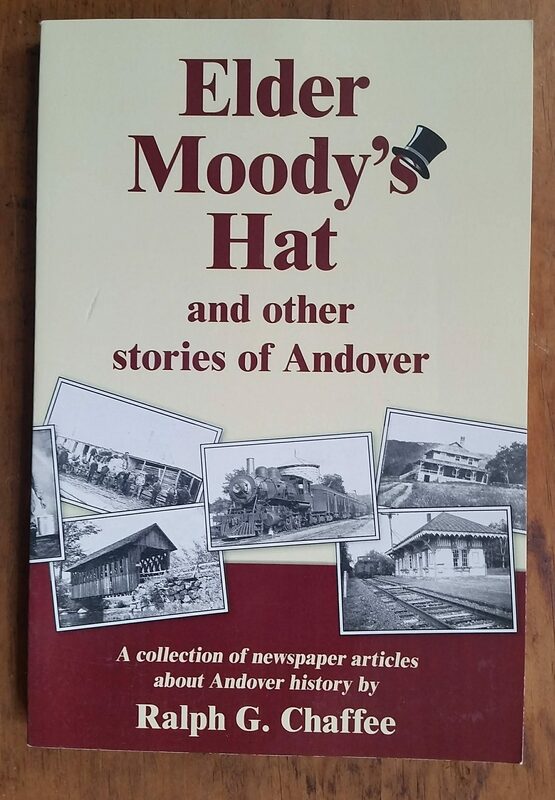 Elder Moody's Hat and other stories of Andover collects many of Ralph Chaffee's most beloved columns from the former Franklin Journal-Transcript. $23, which includes shipping to a New Hampshire address. 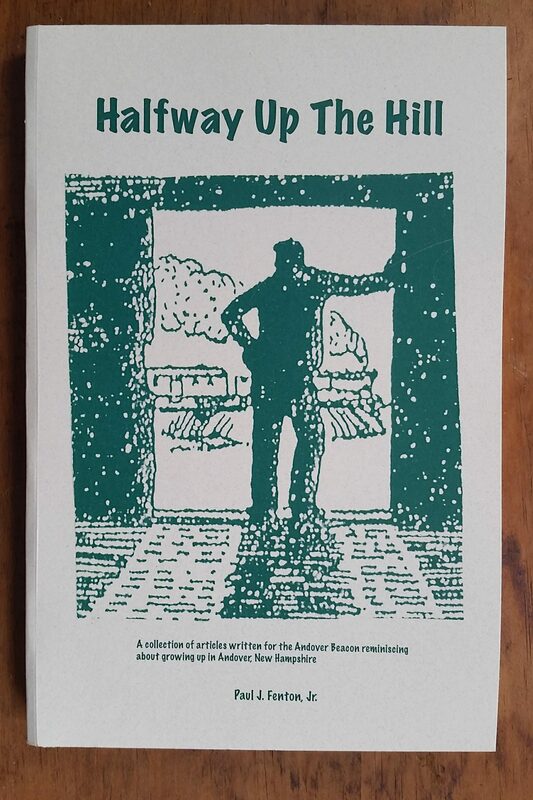 Halfway Up the Hill, by Paul Fenton, former editor of The Andover Beacon, collects his many reminiscences of growing up in Andover. $23, which includes shipping to a New Hampshire address. 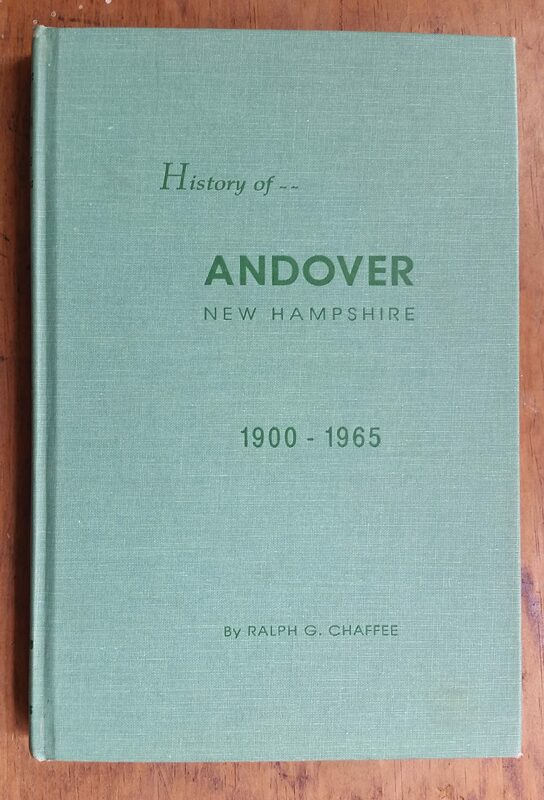 History of Andover, New Hampshire, 1900-1965, by Ralph Chaffee, continues where Eastman's history of Andover leaves off. $43, which includes shipping to a New Hampshire address.